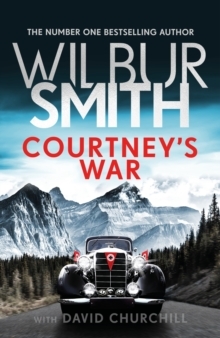 The brand new Courtney Series novel, and the much-anticipated sequel to the global bestseller WAR CRY Torn apart by war, Saffron Courtney and Gerhard von Meerbach are thousands of miles apart, both struggling for their lives. Gerhard - despite his objections to the Nazi regime - is fighting for the Fatherland, hoping to one day have the opportunity to rid Germany of Hitler and his cronies. But as his unit is thrown into the hellish attrition of the Battle of Stalingrad, he knows his chances of survival are dwindling by the day. Meanwhile Saffron - recruited by the Special Operations Executive and sent to occupied Belgium to discover how the Nazis have infiltrated SOE's network - soon finds herself being hunted by Germany's most ruthless spymaster. Confronted by evil beyond their worst imaginings, the lovers must each make the hardest choice of all: sacrifice themselves, or do whatever they can to survive, hoping that one day they will be reunited. Courtney's War is an epic story of courage, betrayal and undying love that takes the reader to the very heart of a world at war.